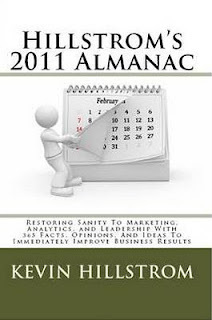 Kevin Hillstrom: MineThatData: Hillstrom's 2011 Almanac ... A New Book! Hillstrom's 2011 Almanac ... A New Book! We're going to do something very different this year. My new book is called "Hillstrom's 2011 Almanac". 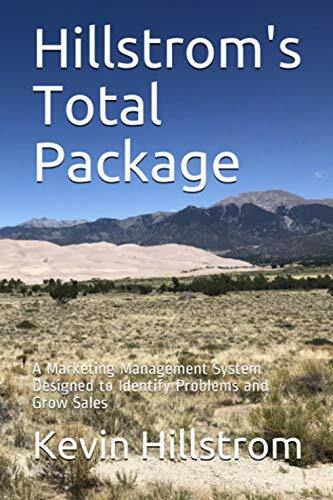 The subtitle is "Restoring sanity to marketing, analytics, and leadership with 365 facts, opinions, and ideas to immediately improve business results." This book is going to have themes that you are familiar with, but it isn't like my prior books. What you are going to get is one tip, one methodology, one idea, per day, for 365 consecutive days. You can read the book from start-to-finish in a few hours, or you can leave the book on your desk at work, and read one tip every day during 2011. Why am I doing this? Good question. In September, I spent a few days posting a series on Twitter called "For/Against". I would publish a tweet about something I was not in favor of, then I would follow that up with a tweet about something I was in favor of. I'd blast a dozen of these things each day on Twitter. 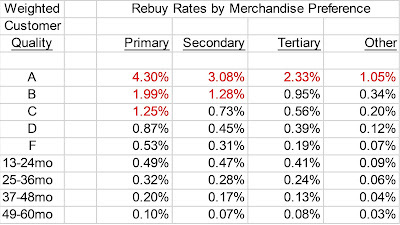 After doing this for three days, MineThatData Nation rebelled. About 5% of my followers left. Criticism came from Europe, Canada, the United States, Male, Female, Business Analyst, Web Analyst, Vendors, Vice Presidents, you name it! You see, folks felt like they were being spammed. One particularly lucid follower suggested that I publish one fact per day. She mentioned that it was important for readers to be able to absorb information, and that anything more than one tweet per day resulted in losing the ability to absorb information. Ding. We have an idea for a book! This 174 page text has one tip per day. Some of the tips are truly short 'tweets'. Some of the tips are essays. You will not find complex math in this book. The book should be accessible to marketers, analysts, and leaders. You won't find a lot of "order" to this book. This is a bit of a different experiment, in the model of the chaos you'll find on Twitter. There will be periods of time where I follow the same topic for twenty days. There will be a periods of time where information will seem a bit chaotic. The book will be available on Amazon.com, $14.95 for paperback, $7.95 for the Kindle version. If you've been looking for a reason to buy an iPad, this is your reason ... download the Kindle app for the iPad and read the book! In the next few weeks, prior to the release of the book, I will print a few of the daily tips, so that you get an idea of what you'll get when you buy the book.